Amazing Belgium: The Magnum, a Belgian invention. The Magnum, a Belgian invention. Magnum is an ice cream produced by Unilever. The characteristic of a Magnum are the thick layer of crunchy chocolate around a thick block of ice cream made with real vanilla. The weight of the ice cream is 86 grams. 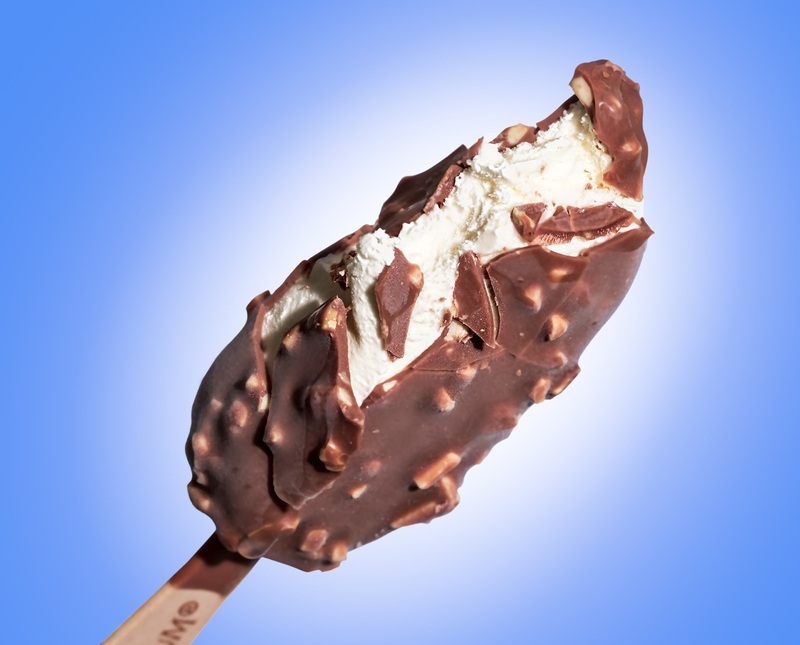 Unilever introduce the Magnum in 1989 as a snack and not just an ice cream. This concept worked and with that the company set a trend for others to follow. The snack ice cream was developed in Belgium at the Ola laboratory and further improved by the Callebaut chocolate factory. In 1992 several new Magnums were developed, including Magnum White and Almond. From Magnum Mini to very recently Magnum Double. New editions are planned, even one with less calories.